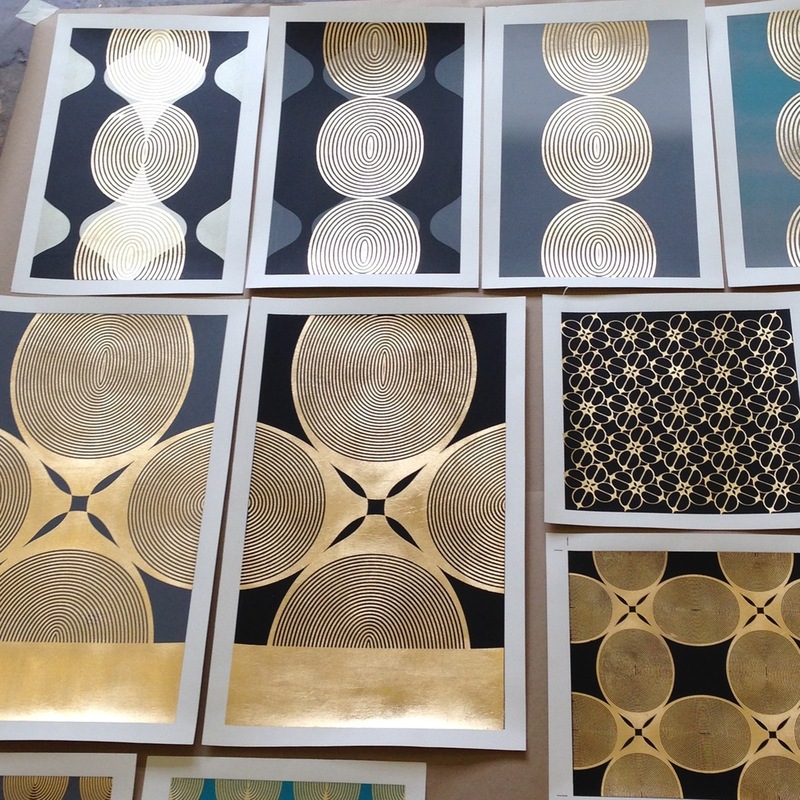 Here are a few shots of the process of designing, printing and gilding the Alchemy collection of art prints. Over the last few months I have spent countless hours in the studio working alongside my amazing husband printing and gilding. 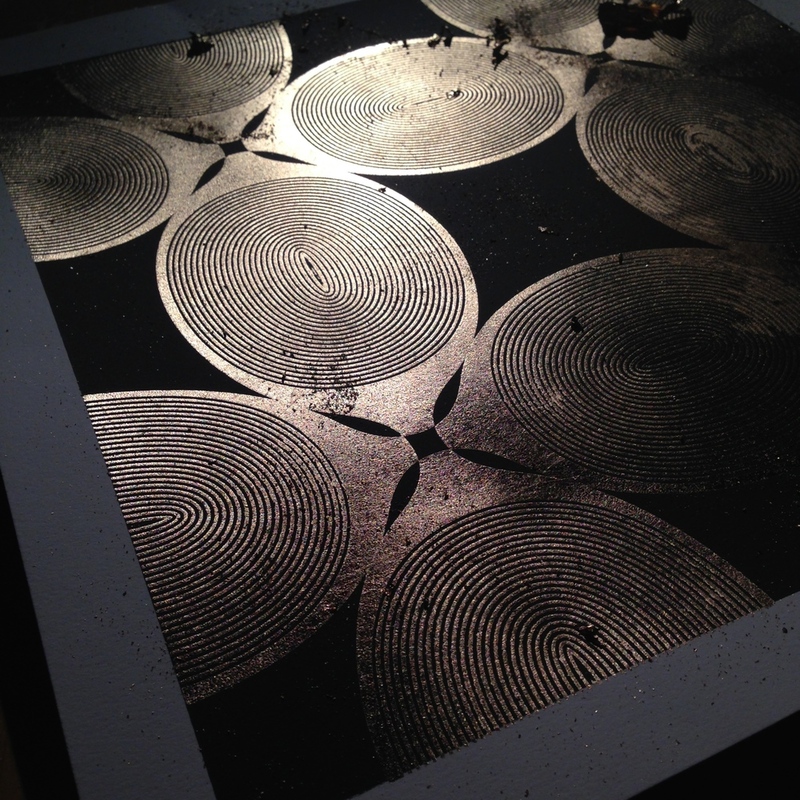 I knew I wanted the prints to have a luminous, metallic quality and gold leaf was the answer. Learning how to screen print the patterns in adhesive sizing was a lot of trial and error. I consulted with master printers who, in the end, picked up tips from me!